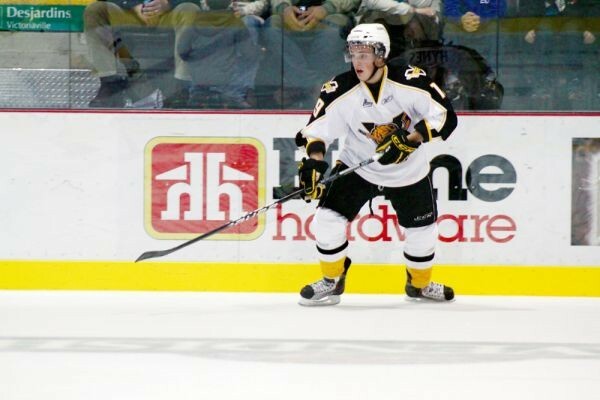 Hailing from Norris Point, Newfoundland, Brandon Hynes was a kid with a dream to play professional hockey. However, after spending several years trying to get his break into the pros, Hynes threw in the towel and came home to focus on his education. However, hockey never left his blood and the natural sniper found a home in the Central West Senior Hockey League with the Corner Brook Royals. In having an opportunity to play for the Royals, Hynes was reunited with his brother, Michael Hynes. This excited him once again about hockey and having an opportunity to suit up in front of local fans was a proposition that the goal scorer could not resist. In his first season with the Royals, Hynes finished the regular season with 36 points (21 goals, 15 assists), just one back of the Grand Falls-Windsor Cataracts Cam Fergus. His success on the ice has saw the Royals finish second overall in the league with a 12-10-0 record in the regular season and in the first two games of the playoffs, he collected 2 goals and an assist as his Royals split the semi-final opening series with the Clarenville Caribous. During his time with the Royals, Hynes was paired on a line with Ryan Salvis, a veteran import player and play maker that sees the potential in the youngster. Salvis has indicated that Hynes is a natural scorer, capable of putting the puck in from almost anywhere. It is Salvis’ job to get the puck to Hynes and fans have seen that all season. On the ice, it is obvious that Hynes is a true competitor with very high standards for himself and his teammates. When he misses a scoring opportunity his frustrations show through, making him that much more determined the next time he is on the ice. The coaching staff and management of the Royals are proud to have signed Hynes this season. They see Hynes as having a long career with the Corner Brook Royals and a player they can build around. His drive, determination, work ethic and talent they say are contagious. Look for Hynes to play a major role as the Royals head into Clarenville this weekend to face off against the Caribous in CWSHL semi-final action.